The term “Autophagy”, originating from the Greek words “auto” (meaning self) and “phagy” (meaning eat) is the evolutionarily conserved physiological process that maintains the protein turnover within a cell. The mechanism involves the formation of double-membrane vesicles called autophagosomes to encapsulate the misfolded proteins, invading pathogens and other dysfunctional cytoplasmic constituents. 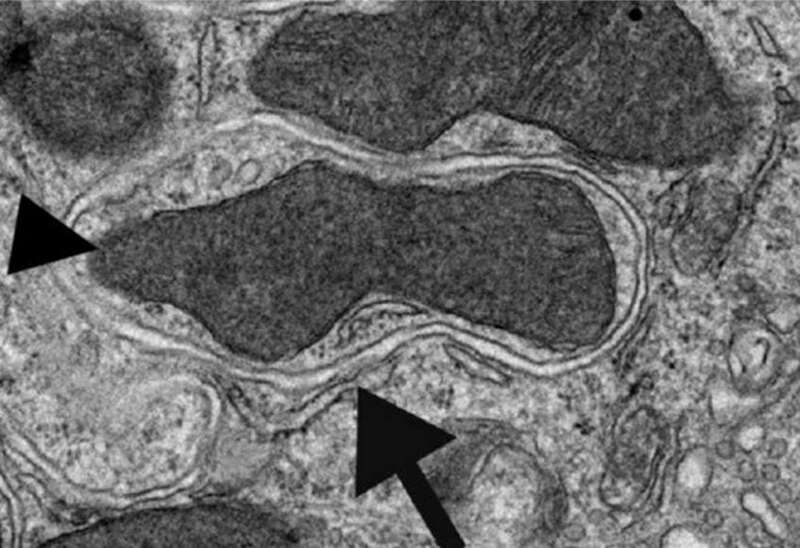 These constituents of autophagosome are collectively called as cargo which is delivered into the lysosomal compartment for degradation. The machinery of autophagy involves around 30 genes which are called autophagy-related (ATG) genes. In order to maintain a continuous protein turnover, a constitutive proteasomal degradation system of proteins exists within the cell. But the system is known to be restricted to short-lived proteins present in the cell. Surprisingly, most of the cellular components are long-lived. Therefore there must be an alternative recycling mechanism for the degradation of these macromolecules to promote adaptation and cell survival under adverse conditions. And autophagy was known to be very promising in playing this alternative role. 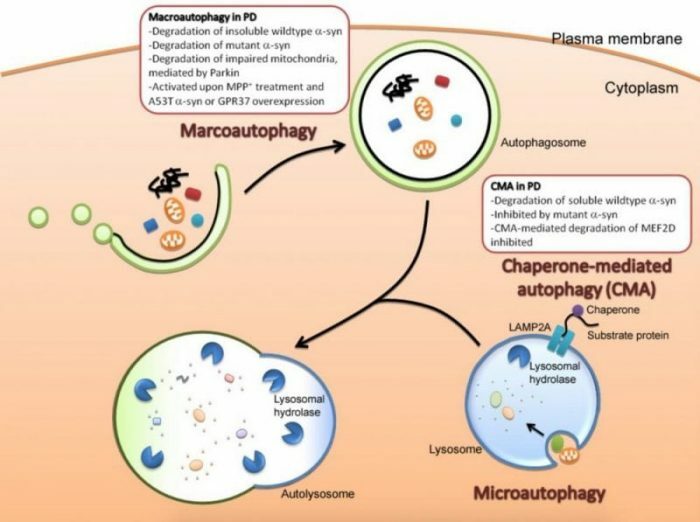 Besides being responsible for the normal functioning of the protein degradation mechanism, autophagy is also involved in in a variety of biological functions like development, cellular differentiation, defense against pathogens and nutritional starvation. Though autophagy occurs constitutively at a basal rate under normal cellular conditions, pathological and physiological conditions including starvation actually stimulate the process. Endoplasmic reticulum (ER) stresses, inflammatory stress, DNA damage, heat shock, oxidative stress and nutrients insufficiency are the stresses that a cell often encounters. When a cell undergoes any of these stresses, the innate stress response mechanisms help the cell to adapt to the stress conditions. But when the stress exceeds the ability of this innate adaptive response mechanism, the cell tends to rely on autophagy or apoptosis to survive or to die. Several transcription factors are involved in the regulation and integration of autophagy into these stress responses. Any modulation in the regulatory mechanisms would lead to dysfunctional autophagy which is usually observed in most of the neurodegenerative diseases. The therapeutic approach to treat these conditions had always lain between induction and inhibition of autophagy. The advent of rapamycin and 3 Methyl Adenine as inducer and inhibitor of the autophagy pathway made its modulation easier by inaugurating the further exploration of compounds as modulators of autophagy for the treatment of various dysregulated- autophagy induced diseases. Nevertheless, identification of a compound that would modulate autophagy with high potency at lower concentration is a real change that is still awaited. Focusing on the role of autophagy in cancer cells, a cell needs to undergo a change in the metabolic machinery to become cancerous as they need an enormous amount of energy to rapidly grow and proliferate. And autophagy is believed to meet out this energy demand of the innermost cells of a tumor. Similarly, lysosome trafficking observed in autophagy has also been observed in the tumorigenic condition. Most of the autophagy regulators are oncogenes and tumor suppressors. This not only puts forth the dual role of autophagy but also insists the need for the clearance of doubts on whether autophagy leads to cell survival or cell death in cancer. In contrast, neurodegenerative diseases exhibit an impaired autophagy. Thus either over-regulation or dysregulation of autophagy is the condition that needs to be treated in most of the cases. The modulation of autophagy has now become the interest of many researchers as it serves as a therapy for many diseases. Such research findings gave rise to many compounds including phytochemicals as effective modulators that are being successful in various stages of clinical trials. However, all these research findings clearly indicate that there is much to do with this autophagy. This study, Autophagy: The spotlight for cellular stress responses was recently published by Ida Florance, Priti Talwar, and Palaniyandi Ravanan in the journal Life Sciences. Palaniyandi is a research scientist at the Vellore Institute of Technology.